Yesterday Russia announced a revised military doctrine, signed by President Vladimir Putin, that names NATO as the Kremlin’s main adversary and clarifies that Russia’s military reserves the right to respond to conventional threats with both nuclear and conventional weapons. This is no big change, since it only amplifies existing doctrine, but its explicit emphasis on NATO as the primary threat to Russia’s security has raised Western eyebrows, as intended. Anyone who thought the West, led by the United States, could lay waste to Russia’s economy through sanctions brought about by Russia’s aggression in Ukraine, without significant pushback from Moscow, is too naive to deal in such important affairs. The new year promises to be a busy one, with myriad forms of retaliation emanating from Moscow, some possibly very unpleasant, as I recently explained. As I explained back in April, this view is wrong, and has only gotten wronger over the last several months. In fact, Putin should be seen as the leader of what I termed the Anti-WEIRD Coalition, the vanguard of the diverse movement that is opposed to Western post-modernism in its political and social forms -- and particularly to its spread by governments, corporations, NGOs, or the bayonets of the U.S. military. While this should not be seen as any formal alliance, nor is it likely to become one, there exists an agglomeration of countries that are opposed to what the West, and especially America, represent on the world stage, and this was the year that Putin unambiguously took its helm. What motivates this is a complex question. Putin is a complex character himself, with his worldview being profoundly shaped by his long service as a Soviet secret policeman; he exudes what Russians term Chekism -- conspiracy-based thinking that sees plots abounding and is reflexively anti-Western, with heavy doses of machismo and KGB tough-talk. Hence persistent Western efforts to view Putin as any Western sort of democratic politician, albeit one with a strange affectation for judo and odd bare-chested photo-ops with scary wild animals, invariably miss the mark. This year ending also saw the mask drop regarding Putin’s ideology beyond his bone-deep Chekism. In his fire-breathing speech to the Duma in March when he announced Russia’s annexation of Crimea, Putin included not just venerable KGB classics like warnings about the Western Fifth Column and “national traitors,” but also paeans to explicit Russian ethnic nationalism buttressed by Orthodox mysticism, with citations of saints from millennia past. This was the culmination of years of increasingly unsubtle hints from Putin and his inner circle that what ideologically motivates this Kremlin is the KGB cult unified with Russian Orthodoxy. Behind the Chekist sword and shield lurks the Third Rome, forming a potent and, to many Russians, plausible worldview. That this take on the planet and its politics is intensely anti-Western needs to be stated clearly. But what of Putin’s actual beliefs? This knotty question is, strictly speaking, unanswerable, since only he knows his own soul. Putin’s powerful Chekism is beyond doubt, while many Westerners are skeptical that he is any sort of Orthodox believer. According to his own account, Putin’s father was a militant Communist while his mother was a faithful, if quiet, Orthodox believer; one wonders what holidays were like in the Putin household. He was baptized in secret as a child but was not any sort of engaged believer during his KGB service -- that would have been impossible, not least due to the KGB’s role in persecuting religion -- but by his own account, late in the Soviet period, Putin reconciled his Chekism with his faith by making the sign of the cross over his KGB credentials. By the late 1990’s, Putin was wearing his baptismal cross openly, for all bare-chested photo ops. The turn to faith in middle-age, after some sort of life crisis, is a staple of conversion and reversion stories. In his last years in power, Saddam Hussein began talking a lot about Islam openly, which was dismissed as political theater in the West, but in retrospect seems to have been at least somewhat sincere. Did Putin opt for Orthodoxy after a mid-life crisis? I am an Orthodox believer myself and, having carefully watched many video clips of Putin in church and at religious events, I can state without reservation that Putin knows what to do. His religious act -- kissing icons, lighting candles, interacting with clerics -- is flawless, so Putin is either a sincere Orthodox or he has devoted serious study to looking and acting like one. Whether this faith is genuine or a well-honed pose, Putin’s potent fusion of KGB values and Orthodoxy has been building for years, though few Westerners have noticed. Early in Putin’s years in the Kremlin, the younger generation of Federal Security Service (FSB) officers embraced a nascent ideology they termed “the system” (sistema), which was a sort of elitist Chekism -- toughness free of corruption and based in patriotism -- updated for the new 21st century. 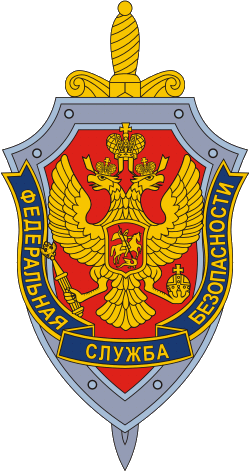 However, this could have limited appeal to the masses, so its place was gradually taken by a doctrine termed “spiritual security.” This involved the ideological fusion of the FSB and the Russian Orthodox Church (ROC), culminating in the 2002 dedication of an Orthodox church at the Lubyanka, the FSB -- and former KGB’s -- notorious Moscow headquarters. It suddenly became fashionable for senior FSB officers to have conversion experiences, while “spiritual security” offered Putin’s Russia a way to defend itself against what it has long seen as the encroachment of decadent post-modern Western values. Just how seriously Putin took all this was his statement that Russia’s “spiritual shield” was as important to her security as her nuclear shield. Nearly all Western experts, being mostly secularists when not atheists, paid no attention to these clear indications of where Putin was taking Russia, while the view of the few who did notice was colored by the perception that this simply had to be a put-up job by the Kremlin. But what if it is not? Skeptics are correct to note that Chekists have had a toxic and convoluted relationship with the ROC ever since Stalin, that failed Orthodox seminarian, resurrected the remnants of the Church, what little had survived vicious Bolshevik persecution, during the darkest days of the Great Patriotic War to buttress the regime with faith and patriotism -- all tightly controlled by the secret police. There was the rub. Under the Soviets, all senior ROC appointments were subject to Chekist review, while nobody became a bishop without the KGB having some kompromat on him. This was understood by all, including the fact that a distressing number of ROC senior clerics were actual KGB agents. It’s not surprising that Putin omits from his CV that he worked for a time in the KGB’s Fifth Directorate, which supervised religious bodies, leading some to speculate that Putin’s relationship with certain ROC bishops extends deep into the late Soviet period. The ROC is not Russia’s state religion, as Putin and top bishops have been at pains to state, but it cannot be denied that the Moscow Patriarchate’s close ties to the Kremlin grant it a very special relationship with Putinism. Whether this actually is symphonia, meaning the Byzantine-style unity of state and church which is something of an Orthodox ideal, in stark contrast to American notions of separation of church and state, remains to be seen, but Orthodoxy has become the close political and ideological partner of the Kremlin in recent years, a preferred vehicle for explicit anti-Western propaganda. The excesses of political correctness have reached the point where people are seriously talking about registering political parties whose aim is to promote pedophilia. People in many European countries are embarrassed or afraid to talk about their religious affiliations. Holidays are abolished or even called something different; their essence is hidden away, as is their moral foundation. And people are aggressively trying to export this model all over the world. I am convinced that this opens a direct path to degradation and primitivism, resulting in a profound demographic and moral crisis. Chaplin added the usual tropes about Western decadence compared to Russian spiritual strength, waxing nationalist and Orthodox in a manner much like Putin has done many times. This interview was viewed as strange by most Westerners, but it must be realized that Chaplin, for all his inflammatory statements, is hardly some lone cleric talking crazy. He is the official spokesman of the Moscow Patriarchate who has a very close relationship with Patriarch Kirill; he appears in the media regularly and has received a raft of decorations from the ROC and the Russian state. While it is tempting to dismiss such talk as ravings, even when they come from the official spokesman of Putin’s own church, they have deep resonance with more serious thinkers whom Putin admires. Ivan Ilyin, a Russian philosopher who fled the Bolsheviks and died in Swiss exile, was reburied at Moscow’s famous Donskoy monastery in 2005 with public fanfare; Putin personally paid for Ilyin’s new headstone. Despite the fact that even Kremlin outlets note the importance of Ilyin to Putin’s worldview, not enough Westerners have paid attention. The West exported this anti-Christian virus to Russia … Having lost our bond with God and the Christian Tradition, mankind has been morally blinded, gripped by materialism, irrationalism and nihilism … In order to overcome the global moral crisis, we have to return to eternal moral values, that is faith, love, freedom, conscience, family, motherland and nation, but above all faith and love. What are we to do, squeezed between Catholics, Freemasons and Bolsheviks? I answer: Stand firm, standing up with your left hand, which goes from the heart, for Christ the Lord, for His undivided tunic, and, with your right hand, fight to the end for Orthodoxy and Orthodox Russia. And, above all, vigilantly watch those groups which are preparing for Antichrist. All of this -- even if we are threatened by apparent complete powerlessness and total solitude. In calling to love our enemies, Christ had in mind personal enemies of man, not God’s enemies, and not blaspheming molesters, for them drowning with a millstone around their neck was recommended. Urging to forgive injuries, Christ was referring to personal insults to a person, not all possible crimes; no one has the right to forgive the offenses suffered by others or provide for the villains to offend the weak, corrupt children, desecrate churches and destroy the Fatherland. So therefore a Christian is called not only to forgive offenses, but to fight the enemies of God’s work on earth. The evangelical commandment of “non-resistance to evil” teaches humility and generosity in personal matters, and not limpness of will, not cowardice, not treachery and not obedience to evildoers. The establishment of planetary Satanic rule. What’s occurring here is the very beginning of a global war. Not for resources or territory, that’s secondary. This is a war for the destruction of true Christianity, Orthodoxy. The worldview of the wealthiest men who own almost all the material goods in the world is Satanism. Having summoned the elements of the First and Second World Wars and a Third Information War, and having laid hundreds of millions of the slain at the altar of their father, Satan, they have initiated the Fourth World War. They are intentionally hastening the reign of Antichrist. As with Vsevolod Chaplin, it’s tempting to dismiss all this as the ravings of a lone nut, but these are no longer fringe views in Putin’s Russia. Jihad is not a word to be used lightly, given its sinister connotations to the West after 9/11, but this bears more than a little resemblance to Holy War in a Russian and Orthodox variant. Whether Putin really believes all this may be immaterial, since his regime has created and nurtured a virulent ideology, an explosive amalgam of xenophobia, Chekism and militant Orthodoxy which justifies the Kremlin’s actions and explains why the West must be opposed at all costs. Given the economic crisis that Russia now finds itself in, thanks to Western sanctions, during the long and cold winter now starting, we ought to expect more, not fewer, Russians turning to this worldview which resonates with their nation’s history and explains the root of their suffering. We perhaps should be grateful that the Orthodox Jihad rejects suicide bombings. In the 1930’s, Romania’s fascist Legionary Movement, led by the charismatic Orthodox revolutionary Corneliu Zelea Codreanu, toyed with what terrorism mavens today might term “martyrdom operations,” but these never really caught on. Orthodoxy frowns on suicide, even in a just cause. That, at least, is the good news. The bad news, however, is that Putin’s uncompromising worldview has more than a few admirers in the West, far beyond the Orthodox realm. Many who reject Moscow’s quasi-religious mysticism nevertheless admire its willingness to take on America directly and offer a counterpoint to armed post-modernism in world affairs. As I’ve previously explained, many European far-right parties have quite a crush on the man in the Kremlin, perhaps due to the money he gives them, but the sincerity of some of the admiration is not in question. In France, Marine Le Pen is leading her National Front to ever-greater heights of political power, and her affection for Putin is unconcealed. “In Russia today there is a mix of exalting nationalism, exalting the church and Christian values,” explained a French politico: “They are now replacing the red star with the cross, and they are representing themselves as the ultimate barrier against the Islamization of the continent.” Since it is far from impossible that Le Pen will be president of France someday, the implications of all this for NATO and the West merit serious consideration. It would be supremely ironic if the last defender of Europe and European values comes from the East, from a Kremlin controlled by a former KGB officer who mourns the collapse of the Soviet Union yet has rediscovered traditional faith and family values. As discontentment with American-led Europe spreads, the Russian option may look plausible to more Europeans, worried about immigration, identity, and the collapse of their values and economies, than Americans might imagine. Ivan Ilyin, however, might not be surprised by this strange turn of events in the slightest.